Two weeks from now one of my favorite people in the world turns twelve. And currently this little person is obsessed with elephants. That's right, it's all pachyderms all the time around here. So it made sense that I would incorporate elephants into her birthday. And since I'm still a little obsessed with the present toppers that I told you about here, I decided to do something similar for this most important of occasions. Those are so clever! I love them! Maybe you should put magnets on the back and your lucky person can use them for clips as well? Or did you already think of that? You probably did! Pinning this one! These are *unforgettable*. Really adorable. I think these are adorable! I left a comment on Looksi too! Very cute. What a fun fun idea! Saw you linked up over at Monday Funday! Boom! This is totally freaking adorable. 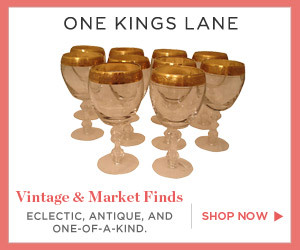 Now I just need to find an excuse to throw a white elephant party. Thanks for joining in at Teach Me Tuesday! That is so cute! Great idea!!! I love this idea! Who doesn't love a white elephant! Oh I love! 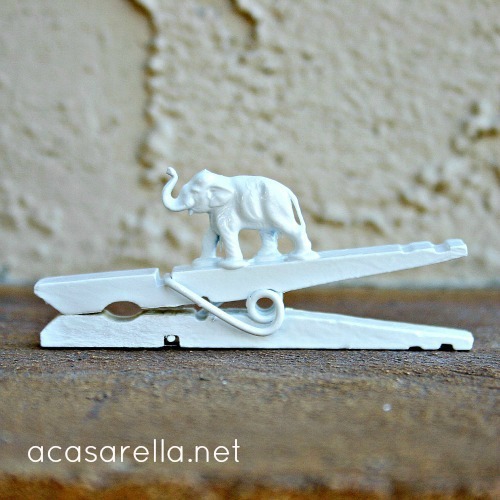 This is such a cute way to use up all those stray animal figures we have around the house and painting to make them match is so clever. 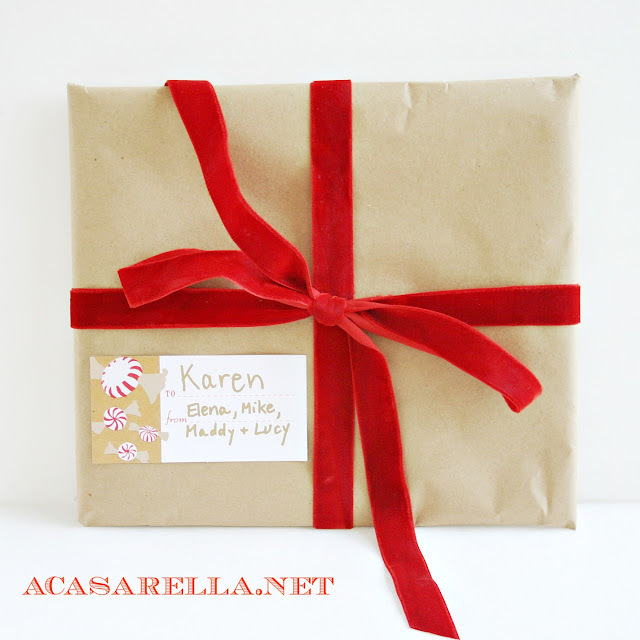 What a fun and creative gift topper! 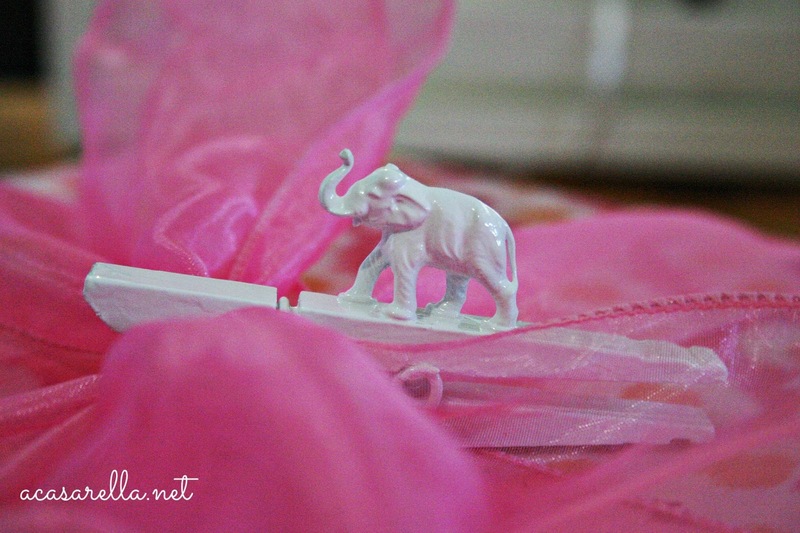 Thank you for sharing on A Crafty Soiree! I so love these! 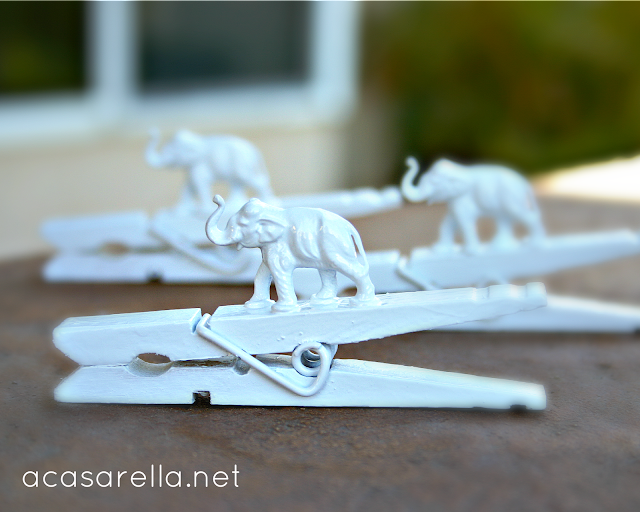 I am very into the all white animals right now and these are such a great idea! He's gonna love them!! 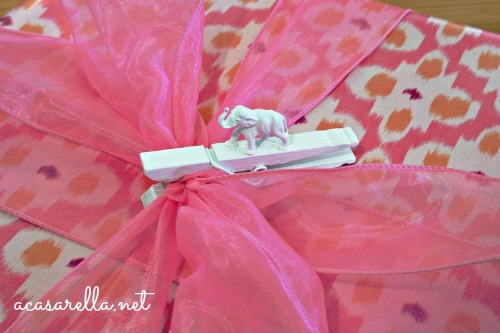 So cute & prefect for gift wrapping! I might be trying this when it comes to birthdays & holidays! Thanks for sharing this awesome project. Stopping by from Live.Laugh.Rowe! This is too doggone cute! Pinning!